You are currently browsing the tag archive for the ‘Armadillo’ tag. Okay, okay Film Fest DC has been over for months so let’s get this over. Plus I put a largely anonymous documentary from the Fest on my first half top five list and it’s worth discussing. This last post will cover the two documentaries I saw at the 2011 Film Fest DC. Conveniently, they are my most and least favorite films of the festival. People may say it’s too reductive, but it’s true: Armadillo is the Danish Restrepo. There’s nothing wrong with that because both are terrific films. Seeing one doesn’t diminish the power of the other. 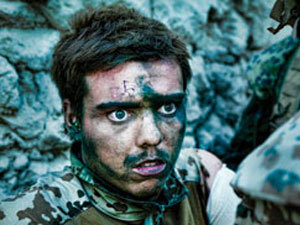 Both follow the tour of duty of a group of soldiers in Afghanistan where the filmmakers get unbelievable access. One battle in Armadillo takes the Danish soldiers into a nearby town, battling Taliban along fences and irrigation ditches. The battle rages all around the camera. The footage is so real and so immersive, if I didn’t know better I might think it was staged. Several of the soldiers become the stars of the movie, including a leader, a more reserved youngster, and a soldier full of bravado who can’t wait to go and kill some Taliban. The story takes an interesting diversion from Restrepo when the latter man continuously brags about the enemies he killed at close range. When news reaches home about potential atrocities committed by the soldiers, we have an front-and-center view of the reactions of the unit, not to mention our own perspective of what happened since the battle was all caught on film in its full, bloody chaos. Besides the episode above, Armadillo differentiates itself from its American cousin by more prominently portraying the futility of the Afghan war. The unit fights over the same small area of land, just to have more Taliban come and attack again. The locals are caught in the middle. There’s a certain theatricality to the routine of it all. The soldiers walk through the village. The townspeople file out so the fight can begin. The fight happens. The soldiers return to base. Repeat. The soldiers pondering the point of the war and their involvement are particularly interesting given their nationality. Director Metz also gives his film a delightfully artistic touch. Beautiful shots of soldiers blowing off steam lit by flares in the dark Afghan night makes for a wonderful segue between chapters. Armadillo received a brief U.S. theatrical release, but as best I can tell has no DVD release date set. It is available to stream on Amazon. I was entirely engrossed by this film and it’s well worth checking out. A.
I tried to see it at last year’s Latin American Film Festival, but it withdrew. I was so happy to see it on the Film Fest list this year. Oh, Past John. You poor, misguided fool. This documentary is set in the harsh Atacama desert of northern Chile. 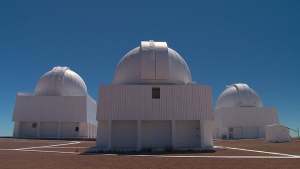 These days it is one of the world’s major copper producers and its clear skies make it a major destination for astronomical observation. During the Pinochet regime it was also the location of slave labor and death camps. Nostalgia for the Light attempts to reconcile the region’s contrasting history, that a place that is a window to the heavens where man contemplates his place in the universe can also be the location of such awful human cruelty. Where the dry desert preserves remains of natives and murdered dissidents while scientists examine waves that have taken millions of years to reach earth. The result is a ponderous and excruciatingly boring existential meditation. The problem doesn’t lie with the thesis or story, such as it is, but the execution. We do meet interesting people, including astronomers, philosophers, former dissidents, and family members of disappeared prisoners who comb the sand for bone fragments. But Garcia has too light of an editorial touch and too often lets his subjects ramble on into mumbo jumbo instead of focusing on the insightful bits. Whatever points he wants to make get lots in the slog. The visuals are no better. Many of the voice-overs are accompanied by long shots of unimpressive night sky or barren desert. At least I had the subtitles to read to keep me engaged with the screen. I don’t know how fluent Spanish speakers would survive. Every transition is a quiet shot that lasts many times longer than it needs to. As viewers, we anticipate the rhythm of editing. A landscape shot between scenes should last a couple beats. Here it could go on for 15 or 20 seconds for no apparent purpose. I have never attended a film with so many walk outs. Unbelievably it had a small commercial release here, though I can’t find box office figures for it. I know it was playing in DC the week after the film fest. Not that it matters; you shouldn’t see it. D-. This finally concludes our Film Fest DC coverage. The fest was just so great we needed three months to cover it all. See our other coverage here: John’s look at the genre films and the more arty choices, plus Jared’s take on what he saw.